Natalya has been adding her beautiful tone and elegant presence to weddings and events for over 10 years. With diverse musical offerings from classical to Appalachian, everyone is sure to find music that fits their special day. 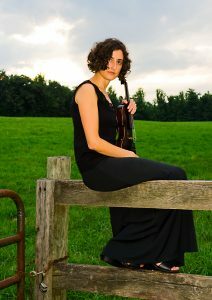 Natalya has performed at weddings and events at the Biltmore Estate, the Grove Park Inn, Claxton Farm, and many other venues in Western North Carolina. Click on a track below for a sampling of classical and Appalachian repertoire. Natalya generally offers a ceremony/cocktail hour package with her husband John Cloyd Miller on guitar, banjo and/or mandolin.